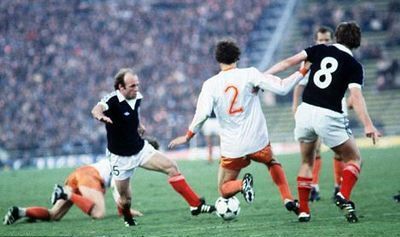 Long suffering Scottish football fans still reminisce about Archie Gemmill’s wondergoal against the Netherlands in the 1978 World Cup and the Tartan Army have been starved of participation in a major international competition since the 1998 World Cup in France thirteen years ago. With the qualifiers for next year’s European Championships in Poland and Ukraine four matches in and the draw for the 2014 World Cup in July, what are Scotland’s chances of making the cut? In their four qualifying games for the 2012 European Championship, Craig Levein’s side have won one, drew one and lost two and been dealt a difficult five team group that includes World Cup winners Spain and the Czech Republic. The celtic nation picked up four points from their first two games, with a 0-0 draw with Lithuania followed by a Stephen McManus injury time winner in a 2-1 victory over Liechtenstein. The fixtures have gotten significantly more difficult since, with a 1-0 defeat in the Czech Republic followed by a 3-2 loss against Spain at Hampden. The Scots have already lost ground on the two teams that have beaten them, and realistically need to win their remaining games apart from the Spanish return fixture to oust Michal Bilek’s Czech side and make the playoffs, a feat that given their current resources and performances seems unlikely. Major tournament qualification attempts since France 98 have been varied, with the dark days of Berti Vogts stewardship being counteracted by close misses under Walter Smith and Alex McLeish. The now Birmingham manager’s reign was an exciting time to be Scottish, as Eck instilled an attacking and gutsy flavour of football into his team, and re-injected a pride and passion into the Scottish fans. McLeish’s side were unlucky not to make Euro 2008, as a tough qualification group containing both World Cup final participants from 2006, France and Italy, put an end to a enterprising campaign that included a fantastic 1-0 victory in Paris. Levein’s side dropped 16 places in April’s FIFA rankings, falling from 50th to 66th. Not only does this leave a footballing proud nation out of the world’s top 50 nations, behind the likes of Guinea, Albania and Gabon, it also means losing their place among the third tier of European seeds and a tougher draw for the 2014 World Cup. Scotland have a proud heritage of competing at the top table of international football, and despite never getting past the first round of the competition, qualified for six out of seven World Cups between 1974 and France 98. With a host of young players coming through the ranks at Scottish clubs and their equivalents south of the border it is a transition period for Scottish international football as the latest crop of players find their feet, with performances and the formation of a team more important than results. Despite this, the stars of tomorrow will need to learn quickly to stop Scotland’s drop down the FIFA rankings and give the Tartan Army Gemmill-like memories in World Cups to come.